Rain is here, or so say my rain lilies!! 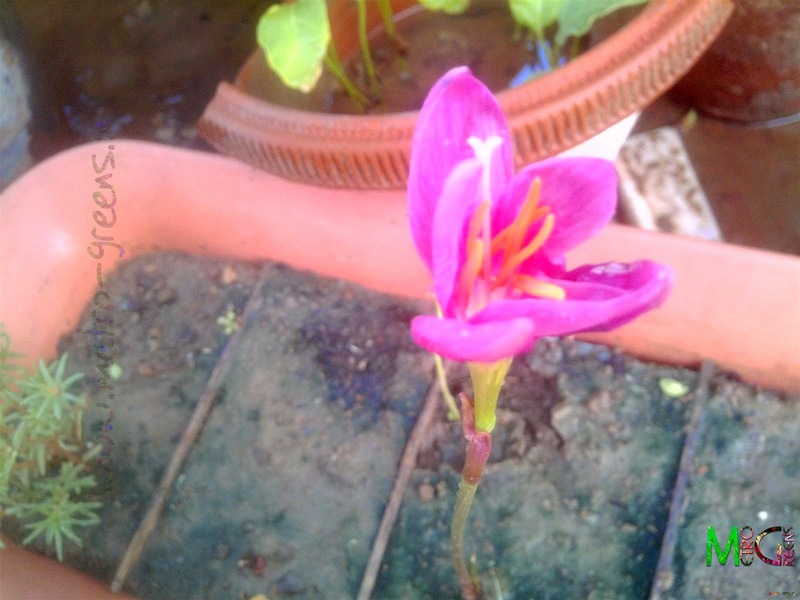 It is said that rain lilies are plants that bloom when it is about to rain, or has rained heavily. 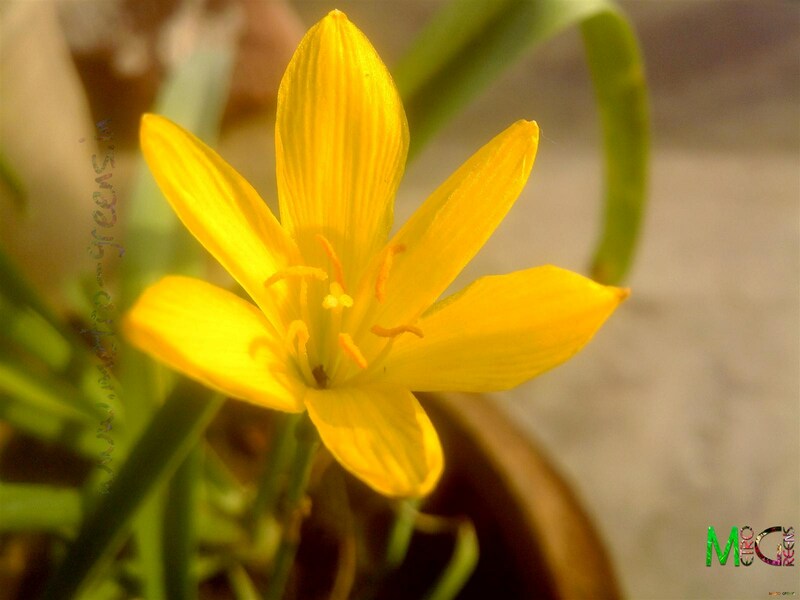 Rain lilies are perennial bulbous plants that are known for their showy flowers and ease of cultivation. These plants can tolerate a wide variety of weather conditions be it wet or dry. Bulbous plants have a very good advantage. They are quite less prone to varied environment conditions compared to the others, and the roots are not as dense as other plants so, most of these suit to be grown in pots and restricted conditions of pots and rooftops. For now, of the 7-8 different plants, there are blooming in two colours. A pink one, and another yellow one. 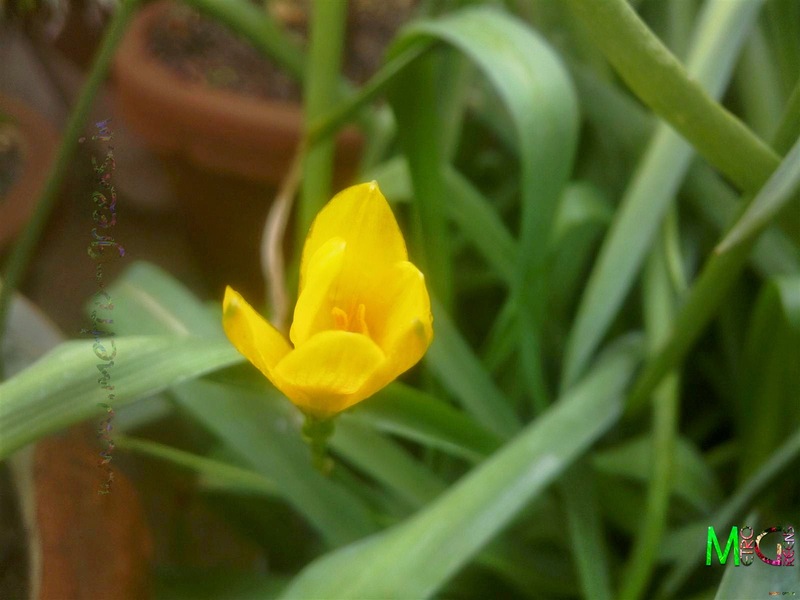 The pink rain lily is among the latest additions in my garden, while the yellow one has been there for more than two years now. 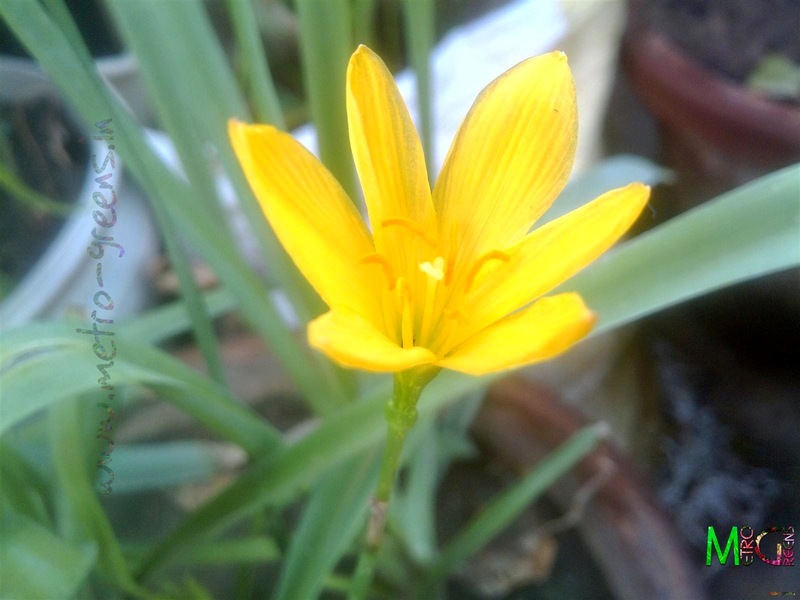 While the pink ones were bulbs when I bought them, the yellow ones germinated out of seeds that I collected from some rain lily plants. There has been some rain for some days now. All my plant are green again, have come out of their bad days of summer. There are new leaves everywhere, and some buds here and there. 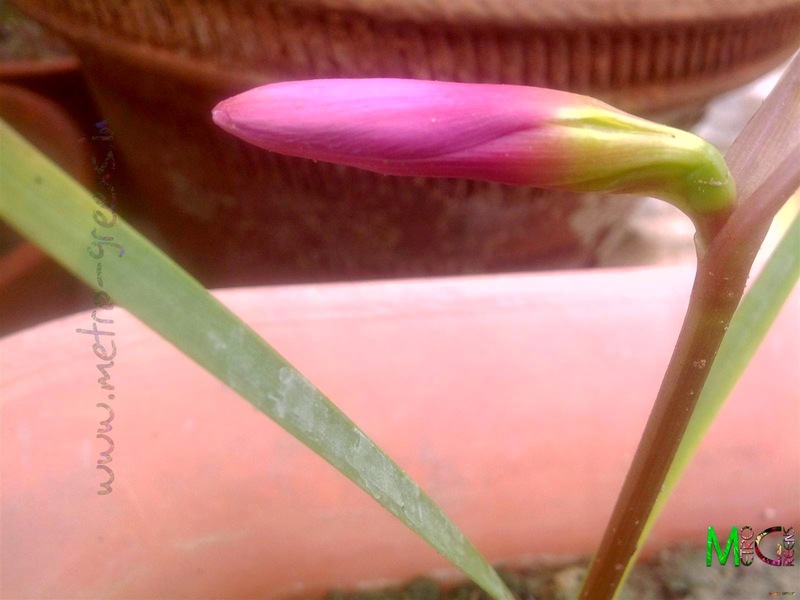 Buds have started appearing in the tuberoses as well. With the good weather conditions, rainfall frequently happening, I have introduced new plants like some vincas, a white and a pink one, a jasmine molle vine, which is commonly known in Hindi as Juhi. Like other members of the jasmine family, this too has a strong fragrance. I got some cosmos saplings too, and one more plant, that I am yet to discover, what it is. Apart from these new additions, the white lilies have been growing pretty well. I'll be waiting for the plants to bear flowers. So, now you know I have alot in store for you in the coming days. I will be back with some new updates. Till then keep trying and HAPPY GARDENING!